Car accidents are scary, oftentimes overwhelming experience. No matter how safe you drive, there’s always potential for someone else to hit you. To avoid the chances of an auto accident, follow our tips for driving safely. While we sincerely hope that there are no more wrecks, it’s important for people to be knowledgable about what they should do after a car accident. Every time you get in the car, there’s a chance of getting in a wreck. Always be prepared by carrying emergency kits in your car. Your emergency kit should include a general first aid kit, emergency flares, warning triangles, and cones. Check for auto accident injuries on you, your passengers, and the other driver. When in doubt, call an ambulance. If possible, move cars out of traffic. Utilize your emergency kit and turn on your car’s flashers to alert other drivers on the road. Report the accident to the police, no matter the severity. Alert your car insurance company. If you’ve been injured in a car accident it is extremely important to have a chiropractic exam, even without obvious symptoms. 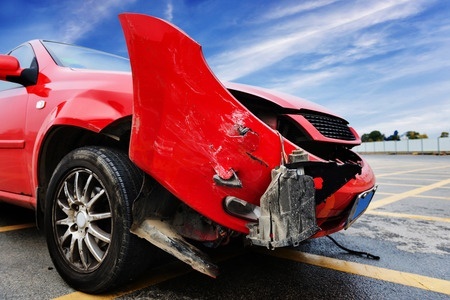 Over half of car accident victims never fully recover from their injuries. Damage from spinal nerve stress may take months, or even years, to surface. The combination of medical and chiropractic care after a car accident is the key between a true recover and lingering pain! Schedule your appointment today with a chiropractor in Charleston, SC. Alpha Care doctors are standing by to help diagnose, treat, and resolve auto accident injuries. Our offices are located in Charleston, on James Island, North Charleston, Mount Pleasant, and close by in Summerville, SC. Call today at 843-824-2273 or contact us online.